Cold rice balls? Curry-filled doughnuts? Fried Sting Ray? 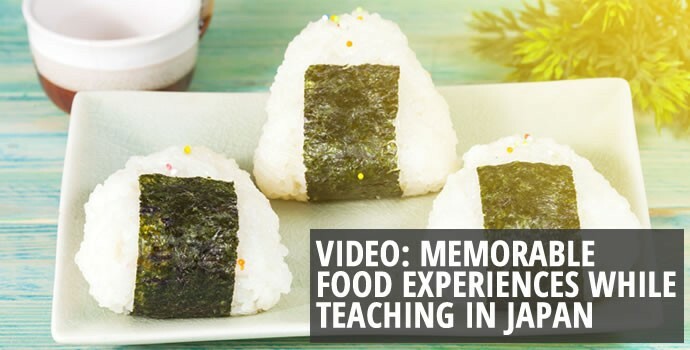 Oxford Seminars instructors Corinne Toffan and Paul Workman tried these and many other new and exciting foods while teaching in Japan, to (mostly) delicious results. In this video, Corinne Toffan talks about how much she enjoyed going out for dinner with her class and trying strange new dishes. It was a great opportunity to experience Japanese cuisine and culture firsthand, from the delicious Onigiri (rice balls) to the bizarre (but salty!) crab brains, to doughnuts that look like typical American doughnuts at first but are actually filled with curry! Ultimately, she found that there were some foods she did not like, but there were many more foods that she did like which she would not have ever tried had she not been willing to experiment and expand her horizons. Paul Workman made a similar discovery during his adventure in Japan when he tried buttermilk, a sweet and sour milk, on his cereal. His solution was to learn some Japanese to help him discern the names of different Japanese foods. This allowed him to better determine what he liked and didn’t like, and continue exploring the food of his new home with some prior knowledge of the language. For Corinne, Paul, and all travelers, experimenting with new food is an exciting opportunity with many unexpected outcomes. Some of the food Corinne and Paul tried in Japan was delicious and gives them cravings to this day, some of it was strange, but it was all part of the amazing experience of teaching and traveling abroad! 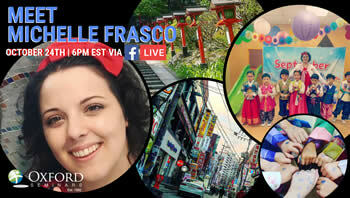 To learn more about teaching English and trying new food in Japan check out our Japan Country Information Pages. 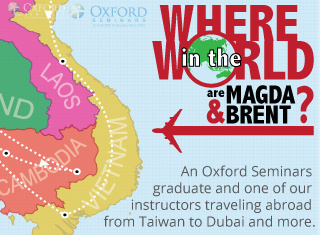 Interested in learning more about teaching English abroad? Talk to one of our instructors at a free information session near you, or download our course guide! Copyright © 1992-2017 Oxford Seminars. All rights reserved.